Concrete Popout Repair - Tim Carter, founder of AsktheBuilder.com, gives Ron some advice about how to repair concrete popouts in the control joints in a home association driveway. 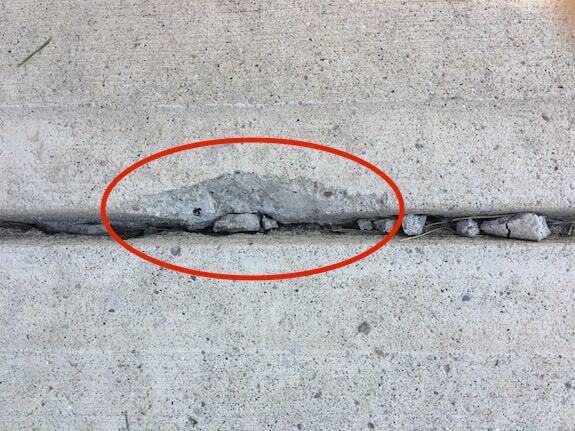 It's possible the concrete was weak at this location because the concrete finishers used extra water when they tooled the control joint with the steel tool. 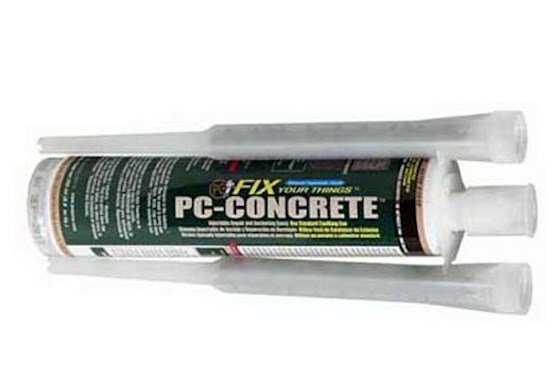 This extra water dilutes the Portland cement making the concrete weaker. The fantastic epoxy to repair this defect is just below. See that caulk tube? CLICK IT. Here's one of the concrete popouts that's causing the problem at Ron's homeowners' association.